The Ghost Of St. Nicholas - print only by Nigel Hemming // £160.00. 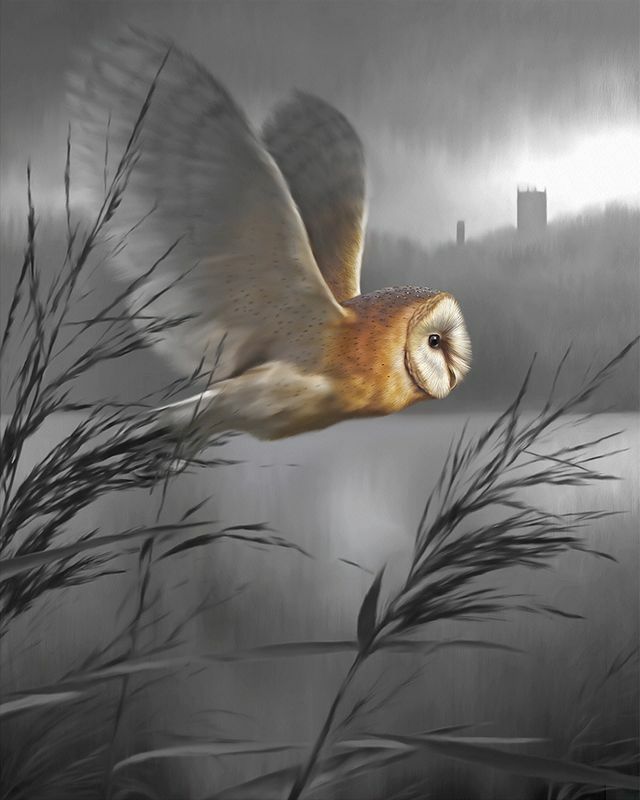 An image commissioned for a Norwich Gallery, this is a known Norfolk vista & of a course a welcome resident of such parts, the English Barn Owl! Nigel has such a keen eye for this beautiful bird of prey.